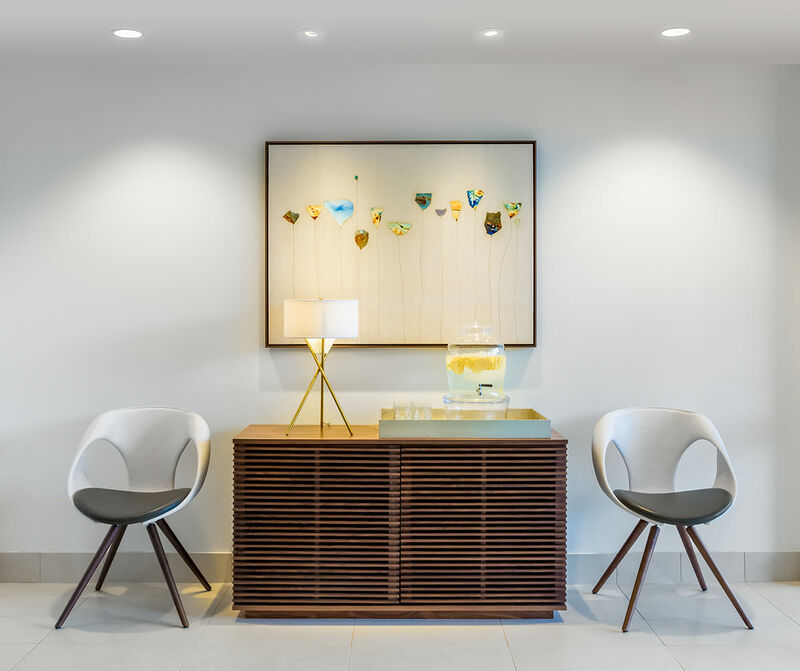 The Fetal Evaluation and Treatment Alliance (FETAL) at Children’s Health is a collection of consultation rooms connected by a common corridor and waiting area. 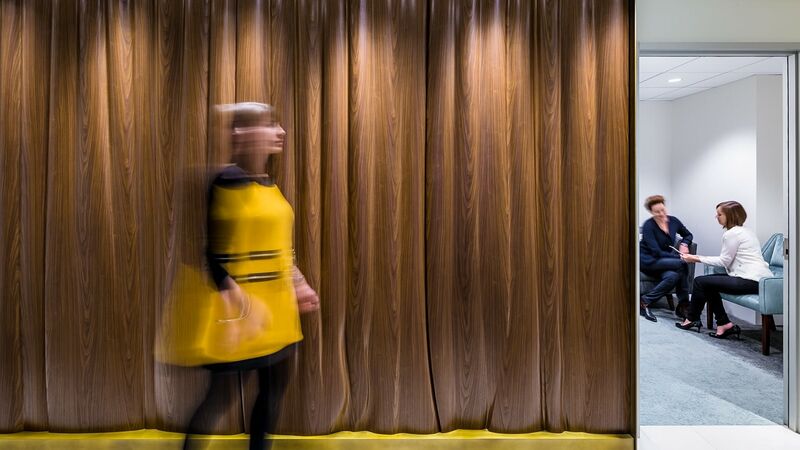 The main focal point is a wood veneer wall that waves and folds along the length of the corridor to mimic the flow of a curtain. 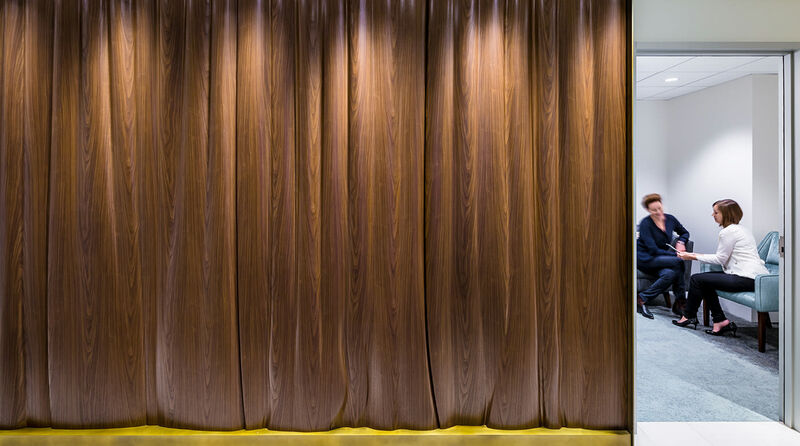 This is balanced by a simple sheer curtain on the opposite side to softly diffuse the daylight. 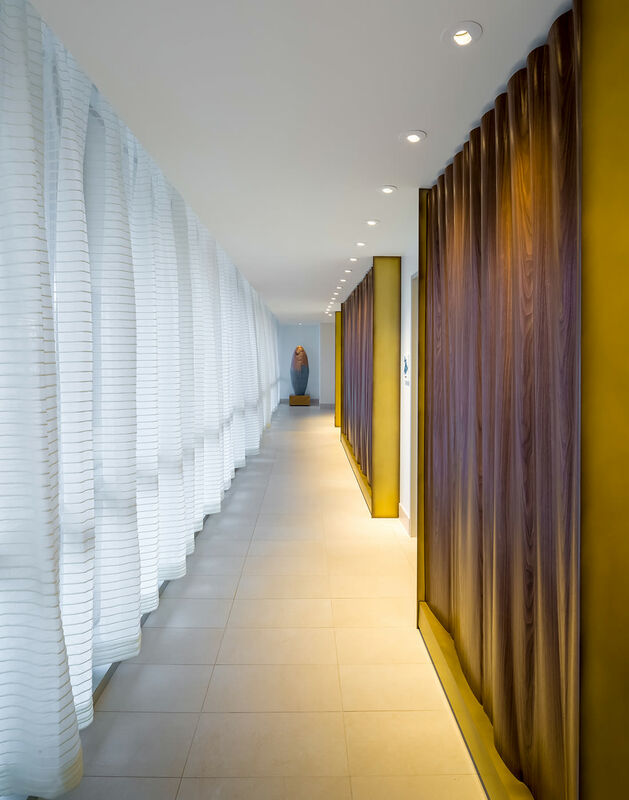 On a tight lighting budget to allow for sumptuous and comforting material finishes, the simple downlighting is situated close the wood wall, highlighting the undulating surfaces and bouncing light back in to the corridor for a rich warm circulation experience. 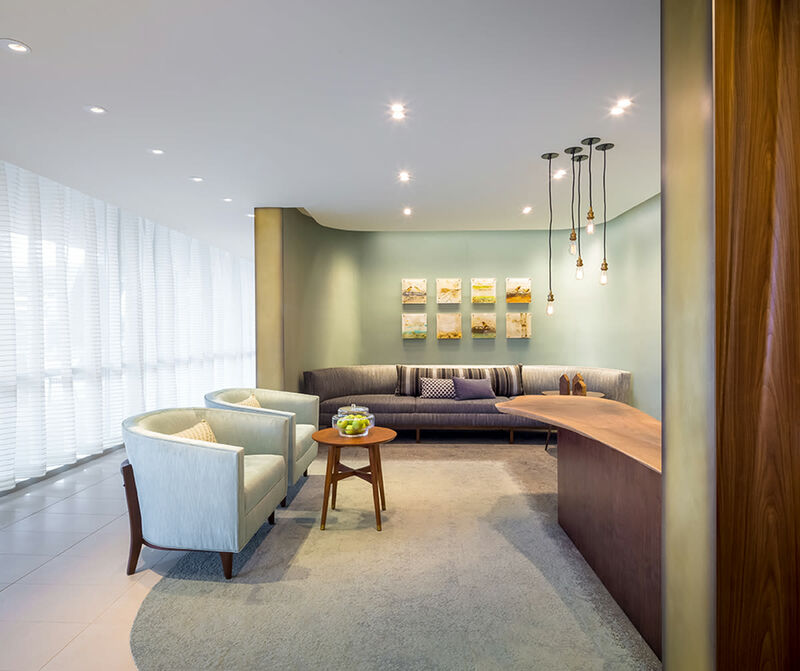 The waiting has a perimeter lighting system to envelop the patients, providing a warm and comforting experience. 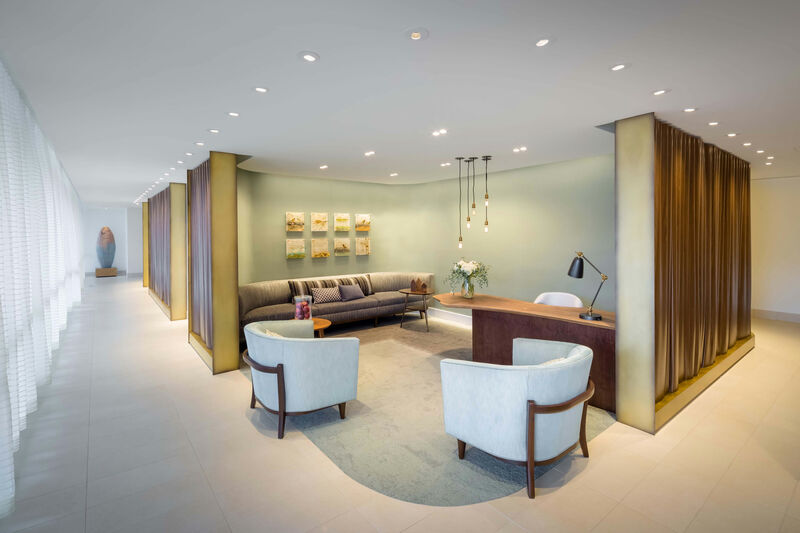 Downlights in this area a double-opening with a smooth curved transition from ceiling plane up into the apertures. . Consultation rooms are simple, yet comfortably lit.